By definition, still life photography is the depiction of inanimate subject matter, typically a small grouping of objects. This type of image, more than landscape or portraiture, gives the photographer true freedom of composition and creativity. Still life can be a demanding art; photographers make pictures rather than take them, and this is always a pleasure for the artist. 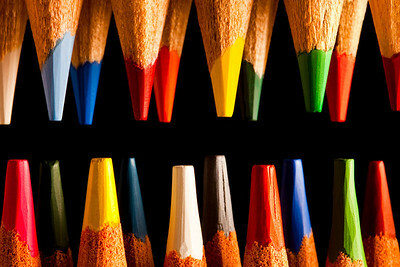 These pencil tips were arranged against a black background to emphasize the color and shape on each one. It was created for use a room décor for a children’s room or a classroom, but it can be inspiring artwork for many different places.Do you like this photo? Get Your Print. 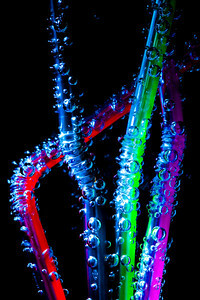 Some people do not recognize the straws in this image at the first glance, as they are captured by the depth and abstract nature of the image This photo shows how simple items can create powerful and stunning images.Do you like this photo? Get Your Print. 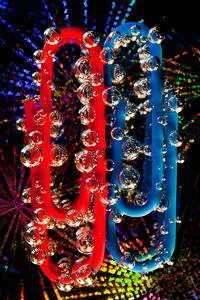 After viewing shoots created with bubbles and sparkling water and shoots using colorful reflections from DVDs online, I was inspired. 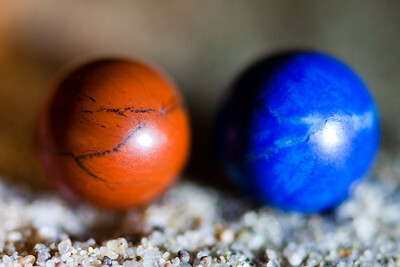 I mixed these two styles to create a unique, and stunning, image. Instead of a DVD in the background, I used metallic wrapping paper to create a firework effect, which adds depth to the bubble-covered paperclips. Do you like this photo? Get Your Print. 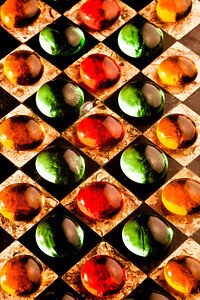 This image is a macro shoot of tiny marble chess pieces reflected on a mirror. The king has been surrounded and defeated. As always, the black sheep get the worst of it. Do you like this photo? Get Your Print or Download it as a wallpaper. 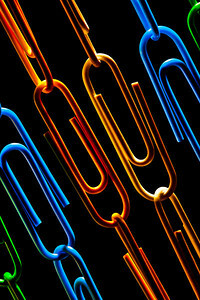 When I first got these colorful paperclips, I imagined them arranged as a curtain. I arranged them symmetrically to increase the power of the composition and I started playing with light until I found the perfect composition.Do you like this photo? Get Your Print. As a child, I always wondered what it would be like to discover a hidden treasure; maybe reading “Treasure Island” and other books and films inspired my musings. After years of wondering, I decided to make my own.Do you like this photo? Get Your Print or Get It as a wallpaper. I had these colorful crystal tokens from an old card game. I wanted to arrange them in a strong and mysterious pattern. 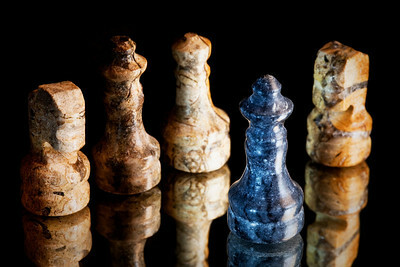 I finally decided to use this marble chessboard as a background and as you can see, the image is very evocative of intrigue.Do you like this photo? Get Your Print. This colorful composition of two paperclips submerged in sparkling water with bubbles following a path, a treacherous path with only one start and full of dead ends. 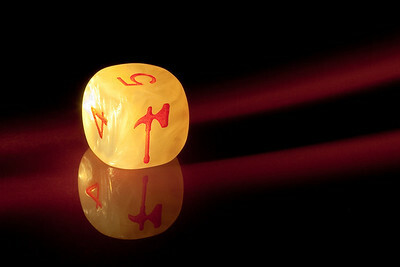 This image acts as a metaphor for our life and the consequences of our daily choices.Do you like this photo? Get Your Print. The same silhouette, equal height and width, exactly the same weight–but a completely different color. Are they really different? 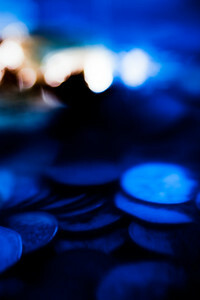 The light has similar effect each one of them… Do you like this photo? Get Your Print. 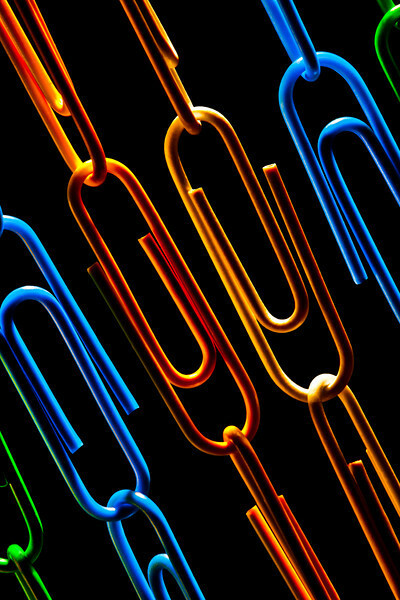 When I first got these colorful paperclips, I imagined them arranged as a curtain. I arranged them symmetrically to increase the power of the composition and I started playing with light until I found the perfect composition. 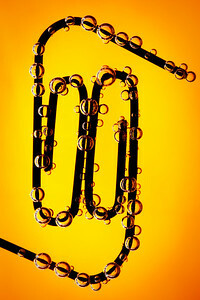 Do you like this photo? Get Your Print.